I discovered the wonderful work being done by Urban Anthropology while working on Tradition of Deceit. 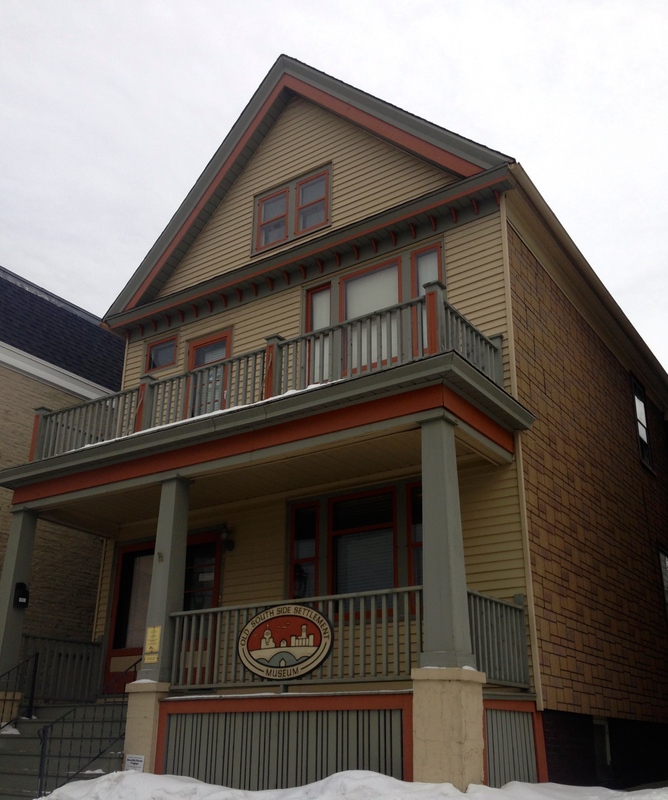 The organization’s museum and programs began when a group of cultural anthropologists in Milwaukee decided to apply their skills—cultural research, museum curation, cultural land-use, neighborhood oral histories, film-making, and others—to the city. 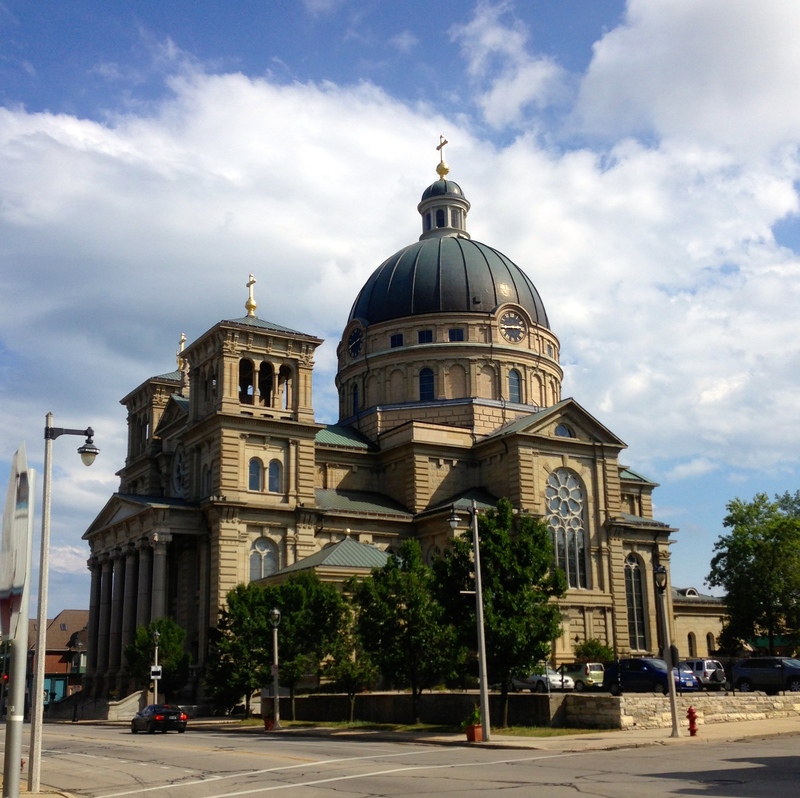 The Basilica was built by Polish immigrants in a working-class neighborhood. What a testament to their faith! Visitors are welcome. See the website for more information. Note the blue police call box. Such boxes are locked and disused now, but a few decades ago they were essential. 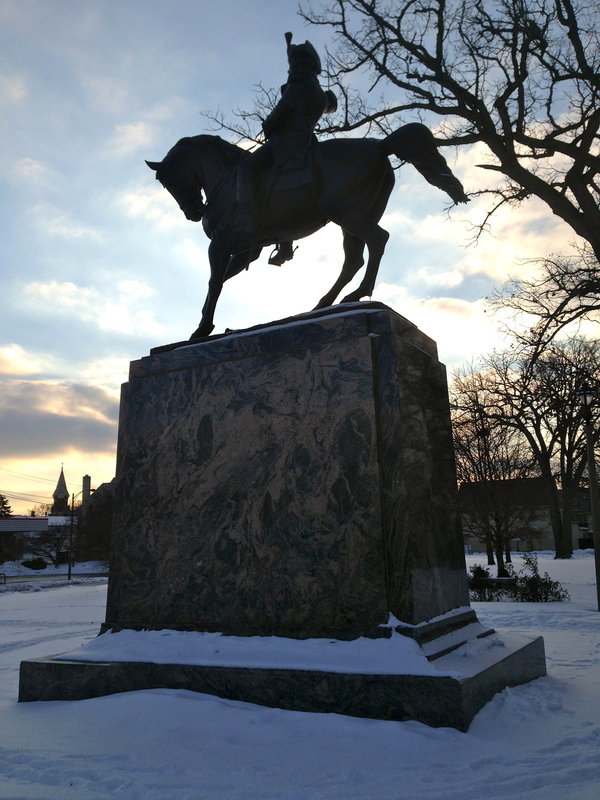 Statue of General Thaddeus Kosciuszko in Kozy Park. This location played a key role in Tradition of Deceit. The Landmark Chapel, 1892. Forest Home Cemetery dates back to 1850. It includes a small museum, walking tours and other programs featuring the historic area are offered periodically. The historic area of the cemetery is fascinating to wander. 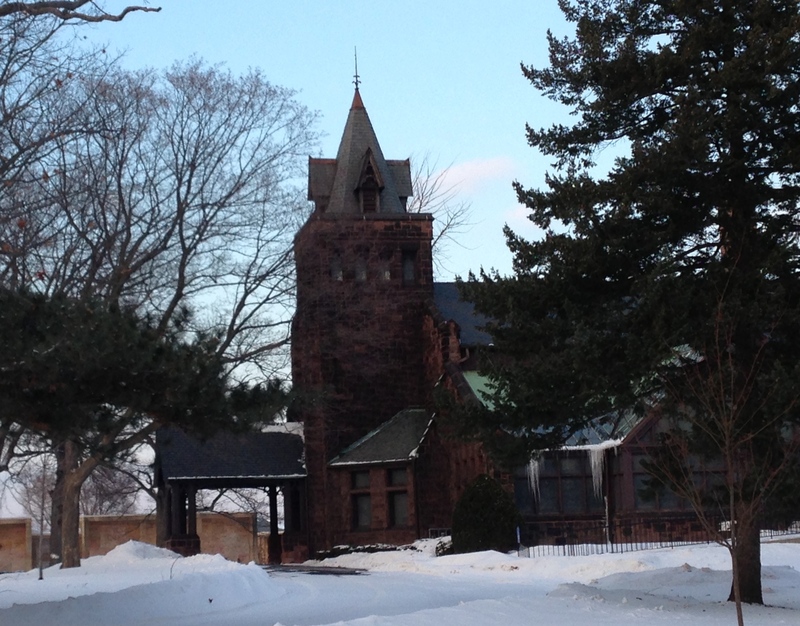 Side view of the Landmark Chapel entryway. And right in the heart of this vibrant area, Urban Anthropology maintains the Old South Side Settlement Museum. 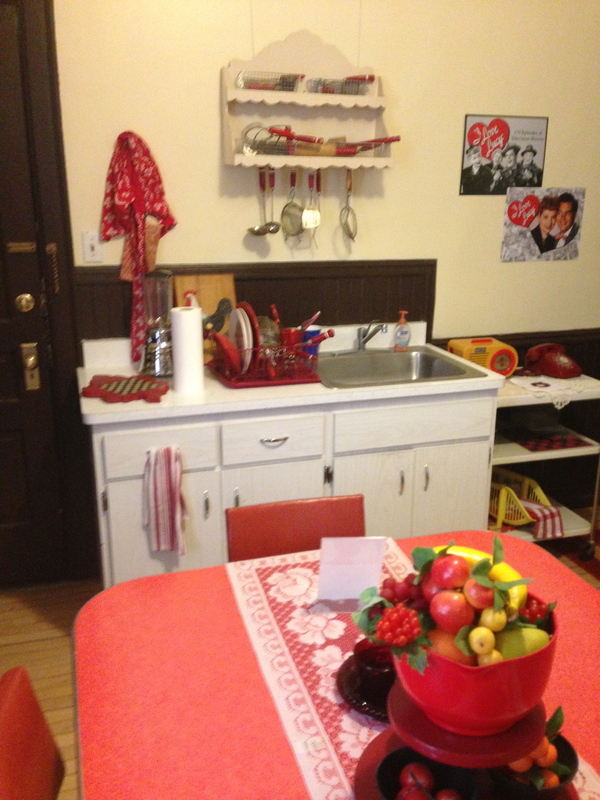 The museum is in a lovely old home. The local community has always been culturally diverse, and the museum portrays change over time. 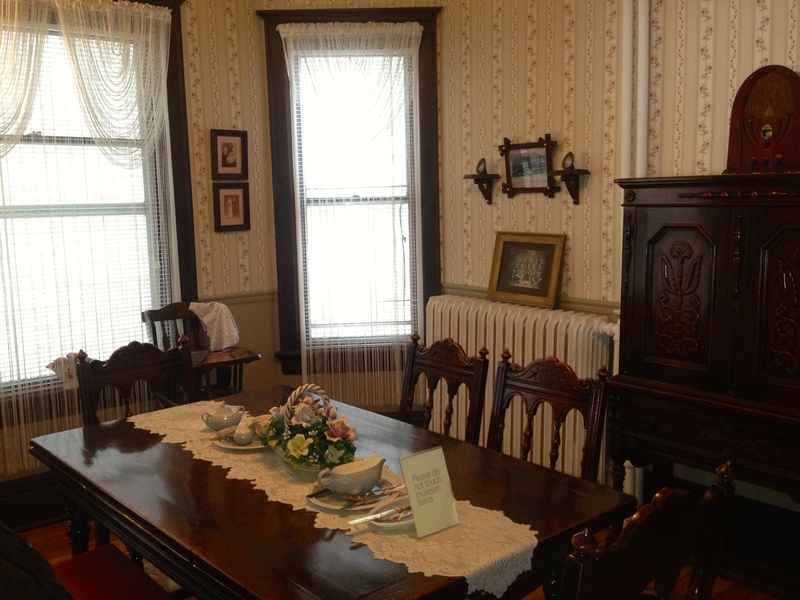 Rooms in the front part of the house reflect the Polish immigrants who settled here in great numbers. 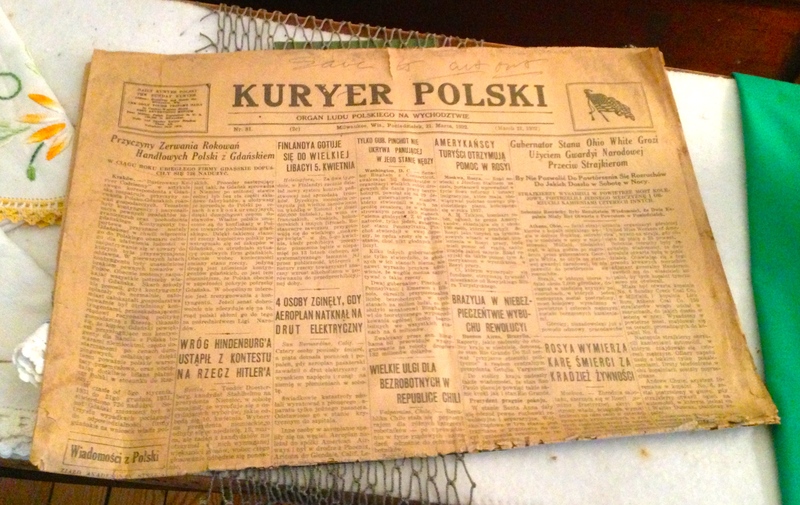 The story of Polish immigration to Milwaukee includes a chapter about a community of fishing families. 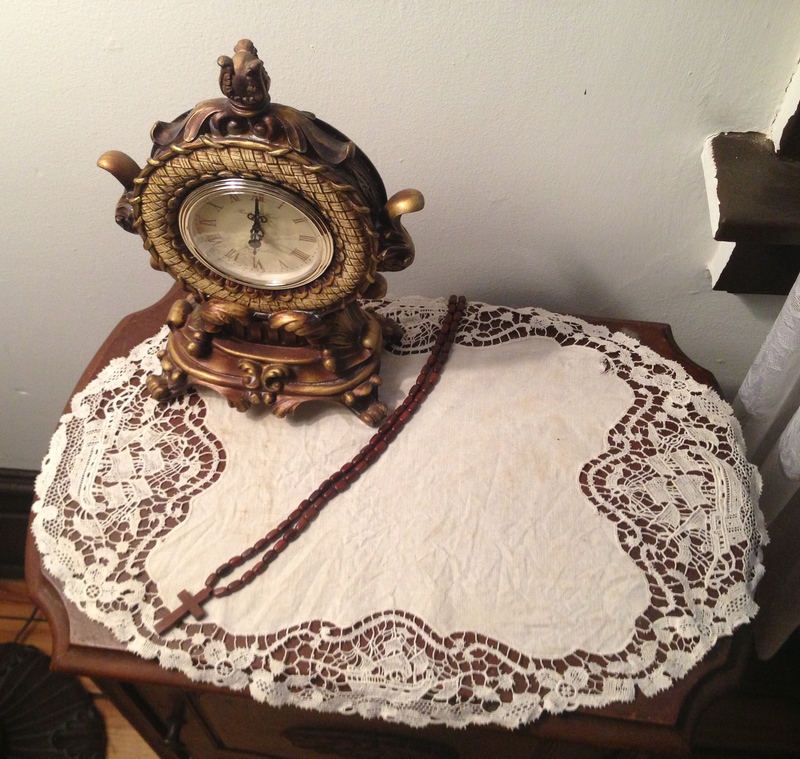 Artifacts on the display help tell the story. Although there are still many Polish-Americans in the Old South Side, other cultural groups have found a home in the area. 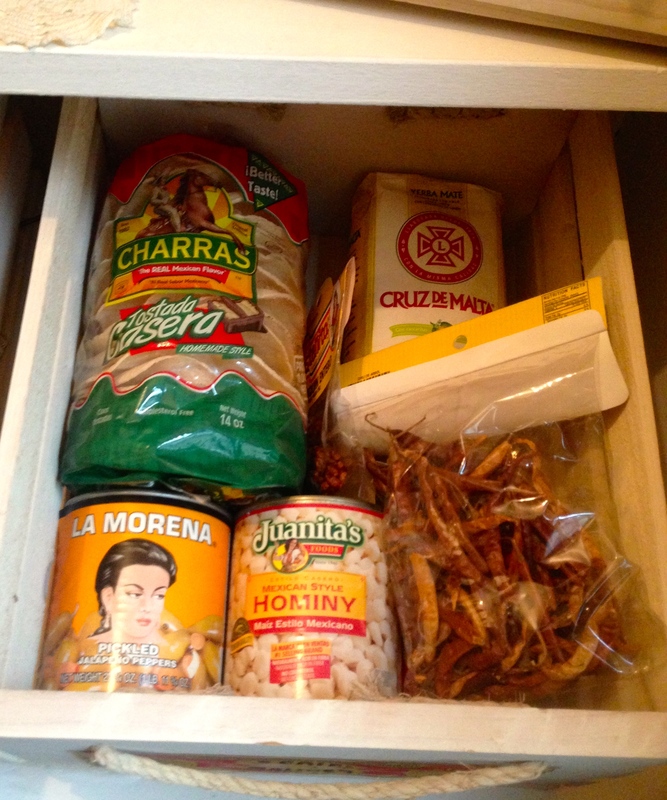 The back part of the museum depicts more recent Mexican arrivals. Carefully chosen objects help convey this part of the story. I loved having the opportunity to compare and contrast. 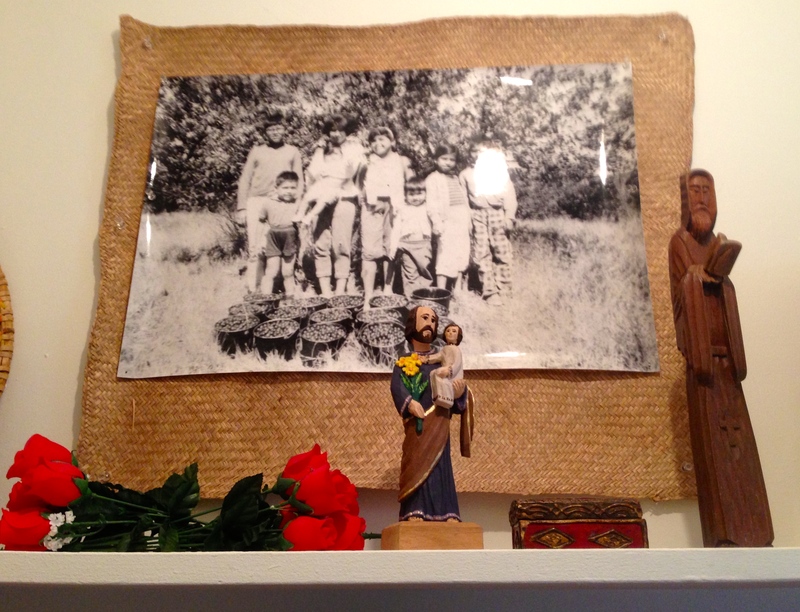 While many things changed in the presentation between the Polish and Mexican portions of the museum, it also becomes clear that many cultural traditions—such as the importance of faith and family—remain the same. 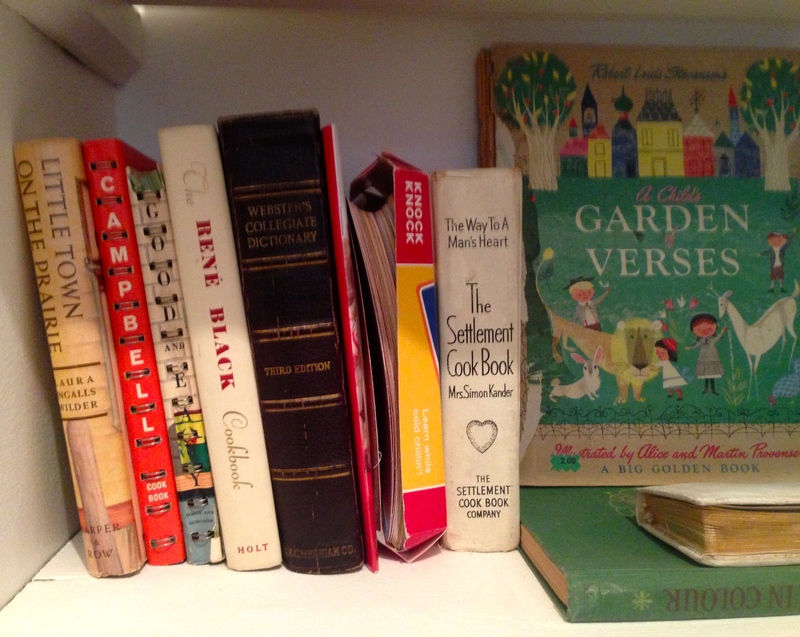 I couldn’t resist showing a bookshelf that includes Little Town on the Prairie, The Settlement Cook Book, and A Child’s Garden of Verses. If you want to walk in Roelke McKenna’s footsteps, and see some of the Milwaukee locations featured in Tradition of Deceit, you can easily visit all of these places in a single trip. Important note: The Old South Side Museum, 707 W. Lincoln Ave, can only be accessed by prearranged tours. Call for reservations (414) 271-9417. $10 Adult, $8 seniors, students, and children. From June – October, Urban Anthropology also offers walking tours on Saturday afternoons. “The Cultures and Architecture of Lincoln Avenue” features the historic area, its ethnic groups, artists and architecture. 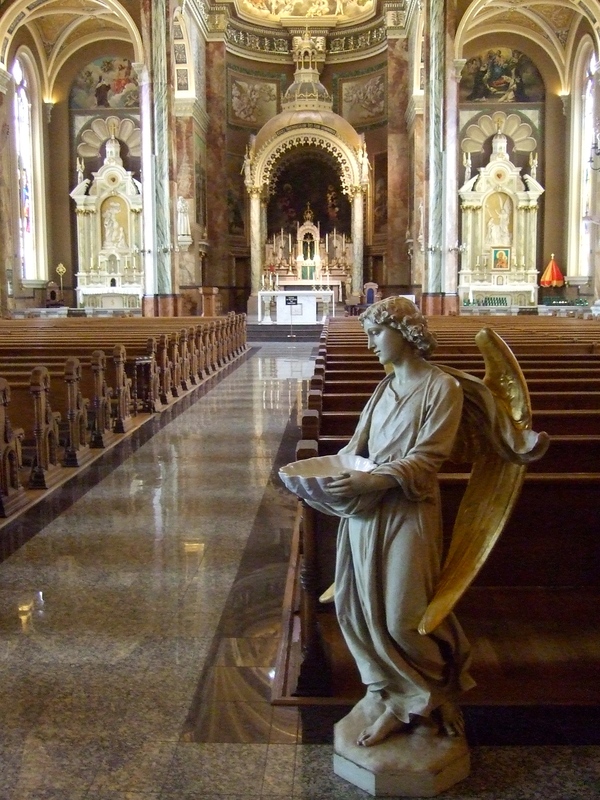 A tour of the Basilica of St. Josaphat is included. Please call (414) 335-3729 to reserve a tour or for more information. 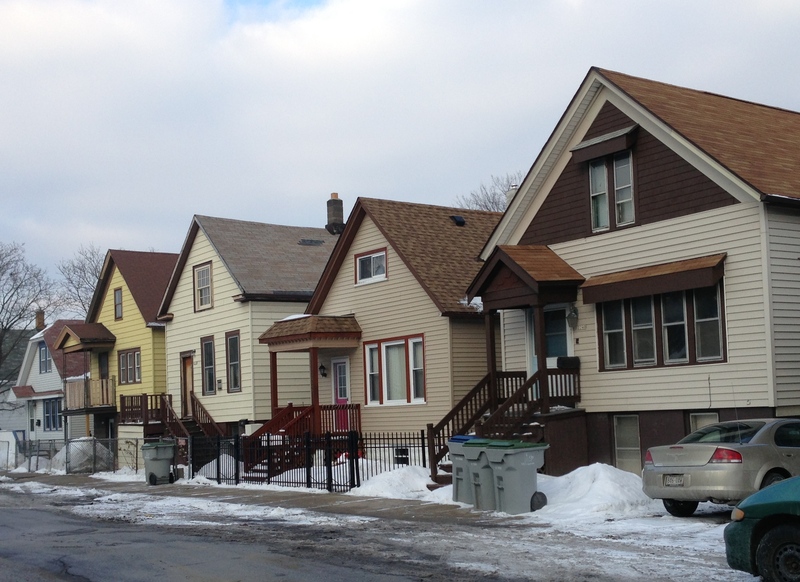 Why Milwaukee’s Old South Side? 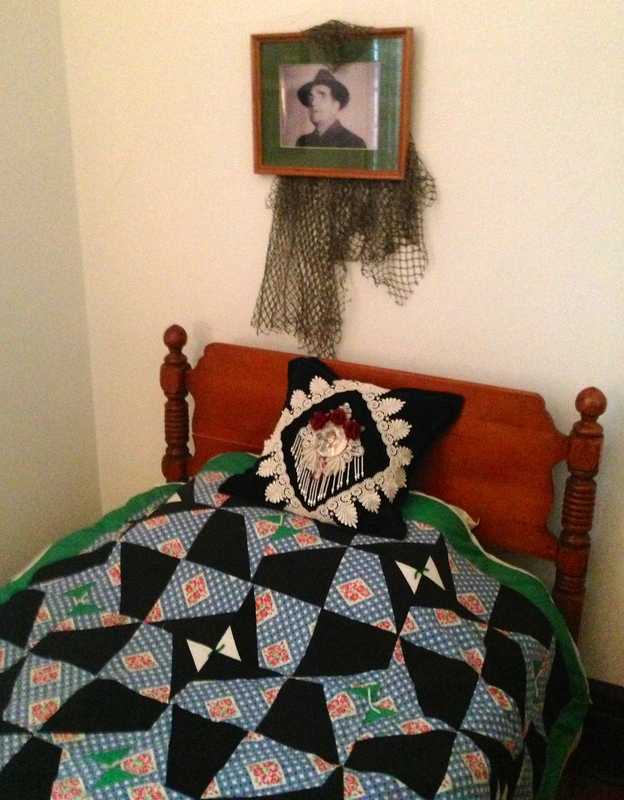 If you’ve read any of the Chloe Ellefson Historic Sites mysteries, you’ve already met Officer Roelke McKenna. Based on reader mail, he’s a popular guy. Well, in Tradition of Deceit, Roelke gets his fair share of page time. Chloe spends much of the book in Minneapolis, helping a friend. Back home, Roelke gets slammed with the news that his best friend, a fellow police officer, was shot and killed while on duty. Roelke began his career in Milwaukee, but I’ve never specified a district or neighborhood…until now. His beat was in Milwaukee’s Old South Side. When he hears accusations that his friend was drinking on duty shortly before his death, he fears the investigation is tainted and returns to familiar territory to seek the truth for himself. 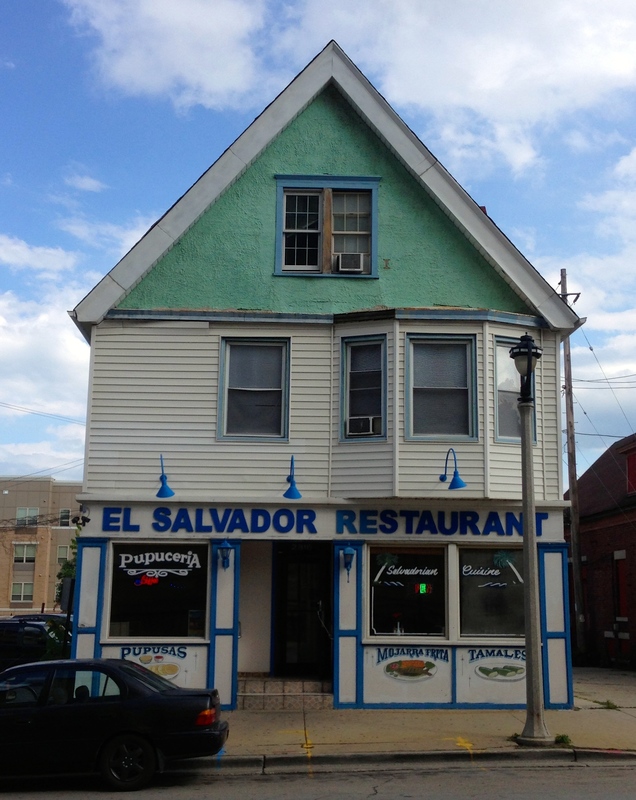 So…why the Old South Side? I’d already decided to celebrate Polish culture in this book. And at one time, the Old South Side was home to the largest Polish community outside Poland. Second, it’s still easy to see evidence of the neighborhood’s early Polish immigrants. They built homes on narrow lots, with gable ends facing the streets, as shown in the photos above and below. This style of architecture became known as Polish Flats. If families eventually needed more space, they jacked up the foundation and add a lower level. 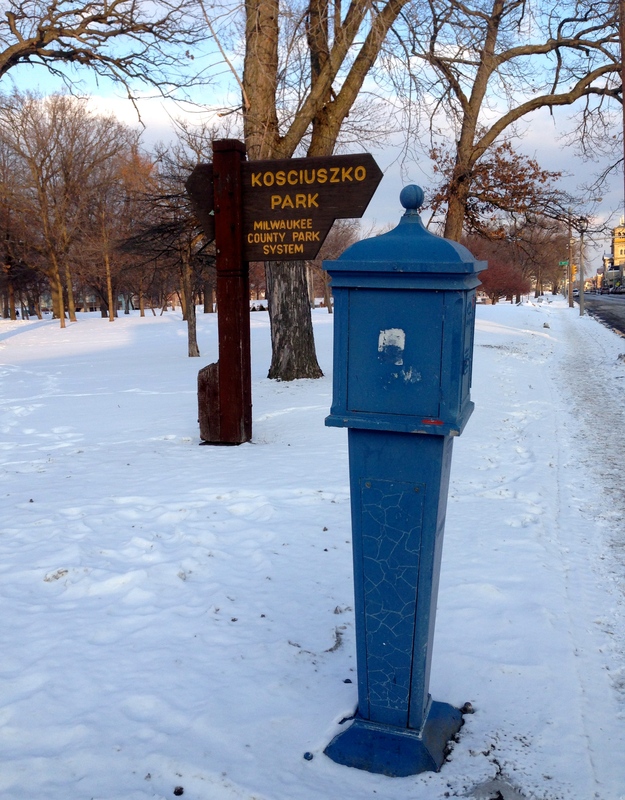 Kosciuszko Park is the heart of the neighborhood. 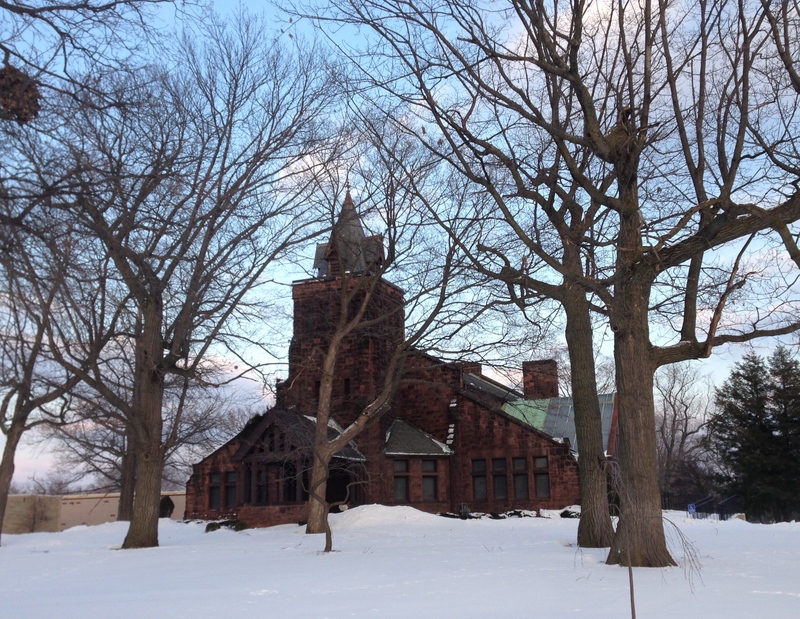 View from Lincoln Avenue. 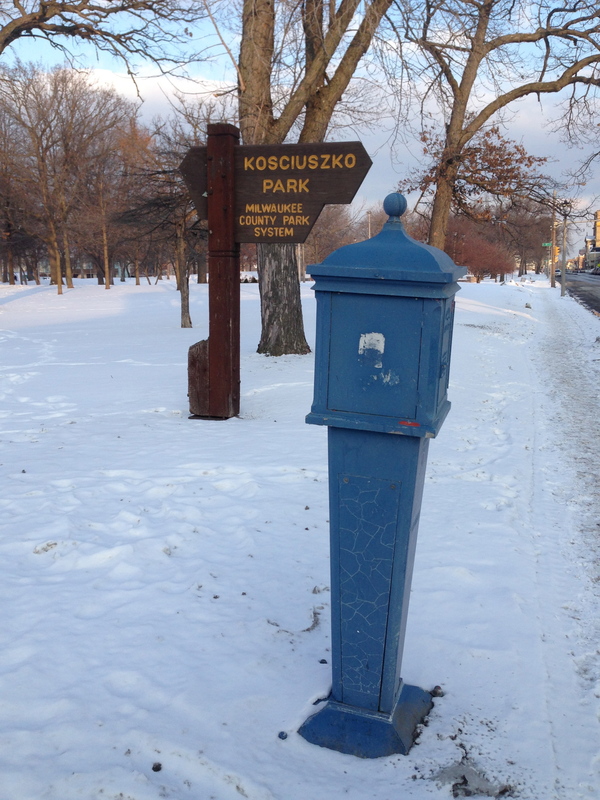 The park, named for prominent General Thaddeus Kosciuszko, provides a 34-acre greenspace in the middle of the most densely populated neighborhood in Milwaukee. Note the blue police call box in the foreground. In Roelke’s time, police officers still used these boxes to communicate. Third, the community can claim several prominent historic sites. These working-class Polish-Americans built beautiful churches, including the magnificent Basilica of St. Josaphat. 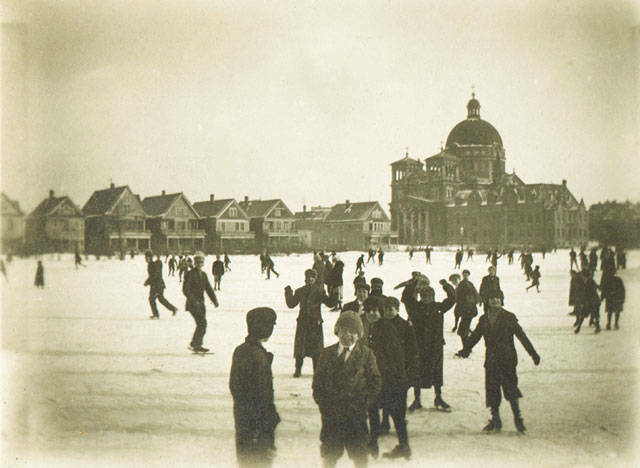 The basilica is also visible across the frozen pond in the historic photo above. And right down the street is Forest Home Cemetery, established in 1850, and listed on the National Register of Historic Places. In the 1970s, highway construction and urban renewal sent some of the Polish-Americans to the suburbs, making room for more Mexican immigrants and other Latino newcomers. Tradition of Deceit takes place in February, 1983. The area was—and remains—vibrant and diverse. It provided a wonderful setting for Roelke’s story. 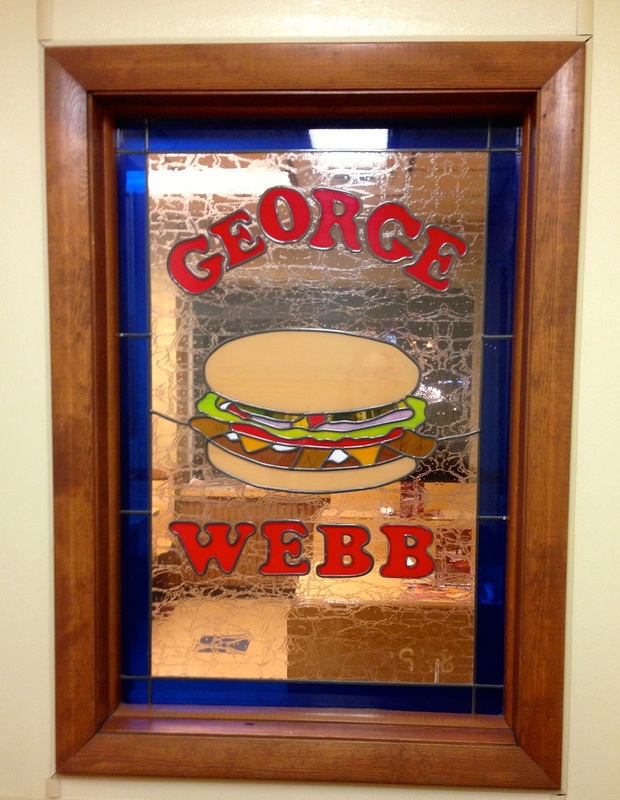 Roelke finds himself slipping easily back into the old neighborhood where he once walked a beat—talking with residents, visiting local landmarks, stopping for coffee at the local George Webb’s. 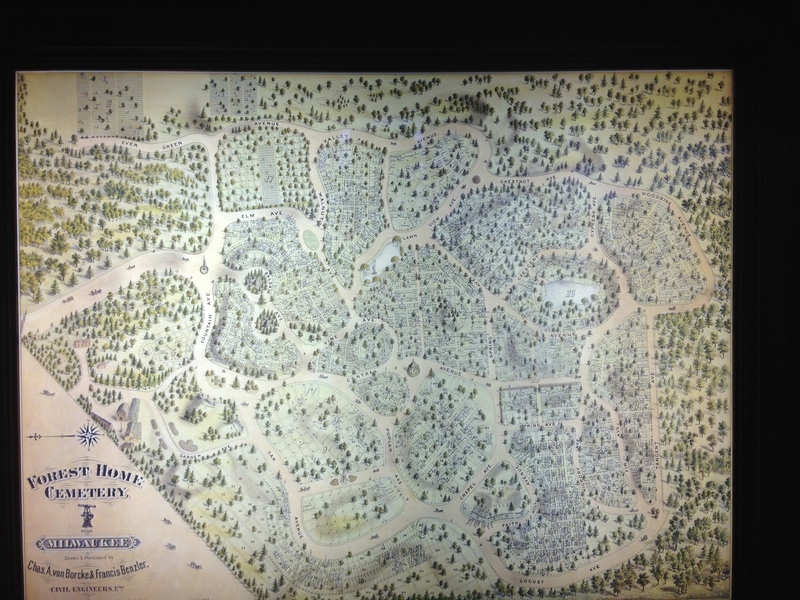 You can learn more about the neighborhood by visiting the basilica, park, and cemetery. 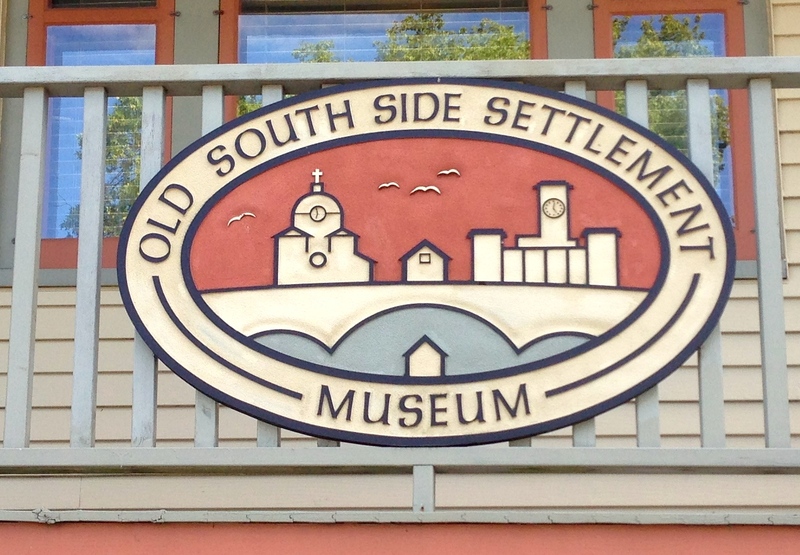 I also recommend visiting the Old South Side Settlement Museum. More about that later. And as always, you’ll find lots more information, photos, and maps on my website. Milwaukee readers – any favorite memories to share?